Gold Coast weather is some of the best in the world. 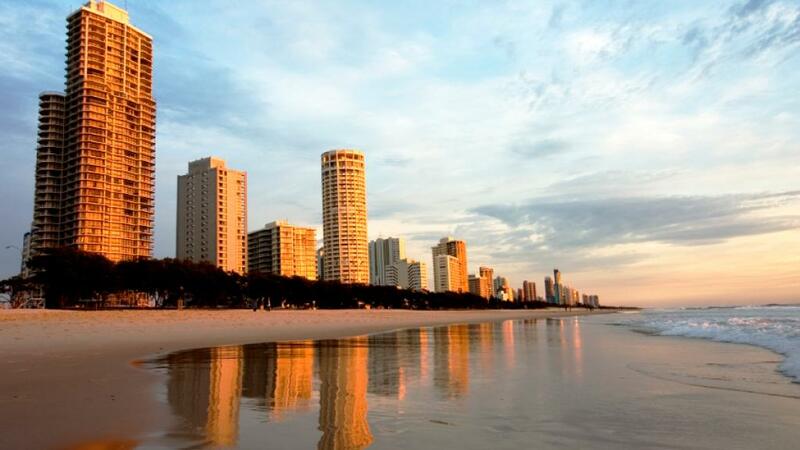 The combination of beautiful sunny days, gorgeous beaches, great surf and top class accommodation make the Gold Coast a simply stunning place to holiday. Gold Coast summer temperatures are usually between 19 to 29 degrees Celsius while winter temperatures are between 9 to 21 degrees Celsius. A cool sea breeze is blowing most of the time and perfect sea temperatures in summer make swimming wonderful. The sun can be quite hot in summer and glare from the sand on a sunny summers day will cause sunburn so sun protection is highly encouraged. Rainfall is scattered throughout the year but the heaviest occurs in the months of December to around April. On average summer has up to 15 rainy days per month while winter has up to 7.